Previously, Isaac was the Colorado field rep. for the Leadership Institute. He was helping conservative and libertarian groups across the state to achieve there activism goals and bring speakers to campus. This past election cycle, Isaac served as the Pennsylvania Youth Coordinator for Donald J. Trump’s presidential campaign. In 2016, on the Art Halverson Campaign for PA's 9th district he worked two precincts managing mulitple projects and the get out to vote movement. 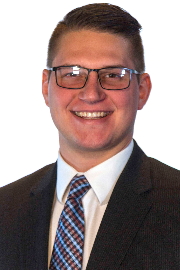 Isaac became politically active in college when he was member of the College Republicans and Vice President of the Political Science Student Leadership Committee. He is a conservative because of his middle-class upbringing that embraced the values of hard work and dedication to family and community. In addition to his political activity, Isaac enjoys spending time with his family, hunting, hiking, and throwing darts.